Steven arrived to New Zealand as an international student 9 years ago and finished a Marketing major at AUT University in 2012. He acquired several years of work experience in the Education industry before moving into the Shipping line, as an Export Coordinator at CMA CGM, the third largest shipping line in the world. In addition to his work experience, Steven is also an entrepreneur, he owns a small trading company which exports New Zealand fruits and vegetables to Vietnam and Russia. Steven is now working for Chantal Organics Ltd as a Trade Marketing Specialist where he looks after digital marketing, and develops market strategy aligned with brand strategy in order to deliver sales volume and value. 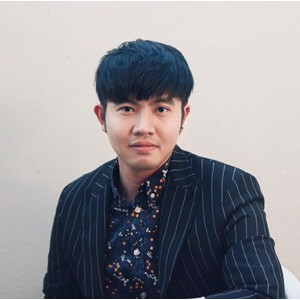 Steven spent 1 year working in Vietnam for big corporations such as Masan Group (HR Assistant), the Nielsen Company (Quantitative Assistant) and Manulife Financial. The diversified work experience in many fields of business helped him gain a comprehensive overview of how businesses run in order to then improve organisational performance. Steven describes himself as a well-blended smoothie with a fulfilling flavor of “Asian tropical fruits and Kiwi topping”, Steven knows both the New Zealand and Vietnamese market well and wants to enhance trading opportunities between the two countries by trying to expand and help New Zealand companies penetrate Southeast Asia. Steven is active in extra-curricular, where he is a part of networks such as AIESEC, Enactus and AUT Vietnam Alumni Group. In addition, he spent two months in Jakarta teaching English in an orphanage. In his spare time, Steven enjoys playing the piano, cooking, fashion design and travelling.